Keeping Spelling Throughout the Year Organized! I've had some good responses to my organization posts! 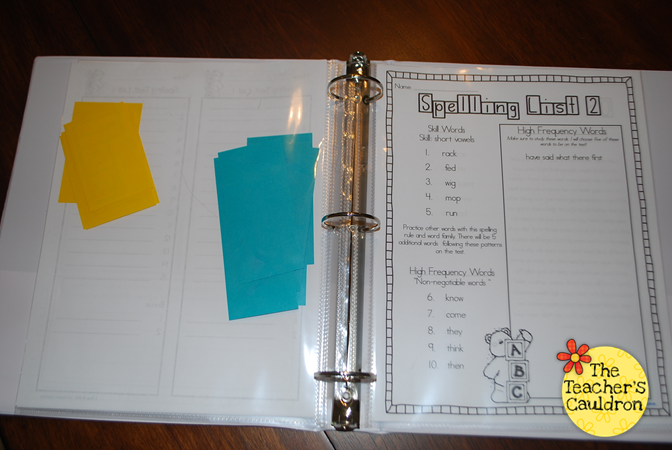 AND, I've had a few questions about how I organize and display my Spelling Throughout the Year packs. So, here's what I do. 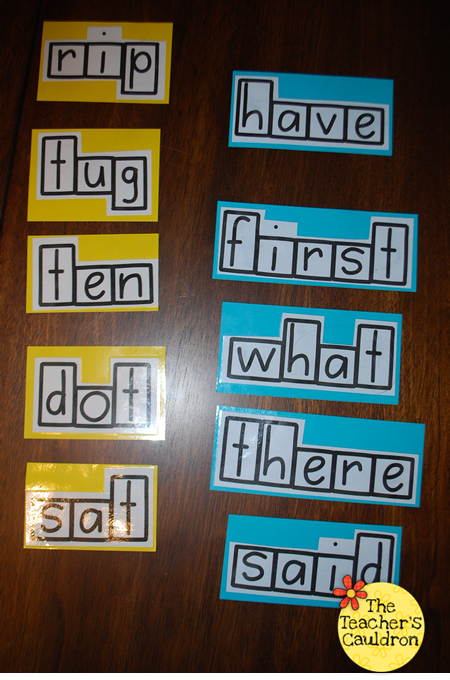 First, I print up the word wall words (both spelling and sight words) and cut them out to shape. Then I glue them to their specific color. I chose teal for sight words and yellow for spelling. Then I run those sheets through the laminator, and cut out the words again, but just in rectangles this time. Now here's how I organize it all. I print up the table of content sheets and put them in front. I just like to see where the skills are so it's a quick flip in the binder. Then I put all the weeks together. For example...here's what week 1 looks like. I put the student list page up front, and then I put all the other sheets behind it in the same sleeve. 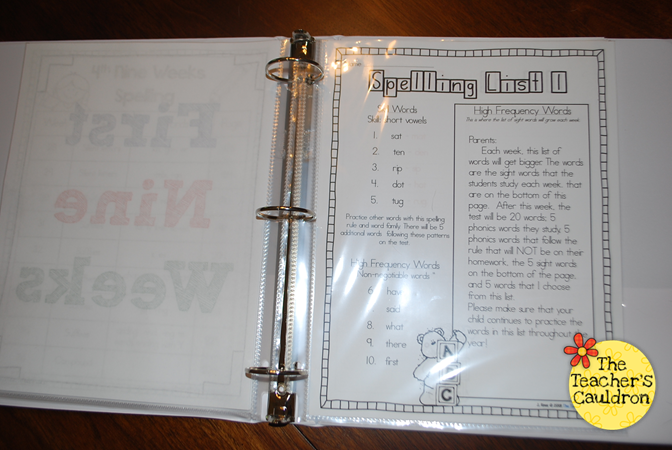 Keeping it all together makes it super easy when it's time to copy off for the week...I just take out the plastic sleeve and head up to the office to make my copies! Now, how do I display them?? Well, that's really up to you and your preference...or what you have available in your class. Here are some examples of how I do it. 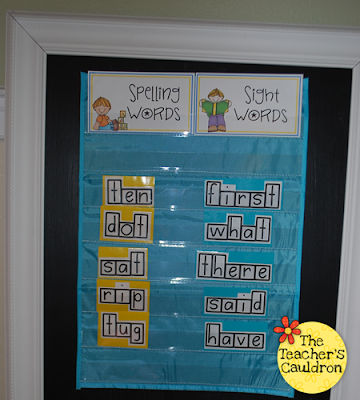 Both the Spelling and Sight Words in one pocket chart. 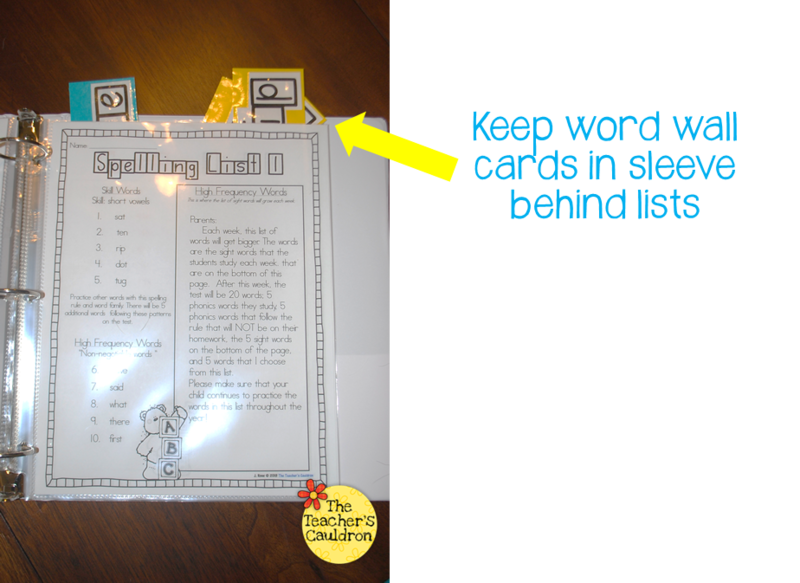 Or, you can do one set per pocket chart, since depending on which pack you have, the words can get pretty big. 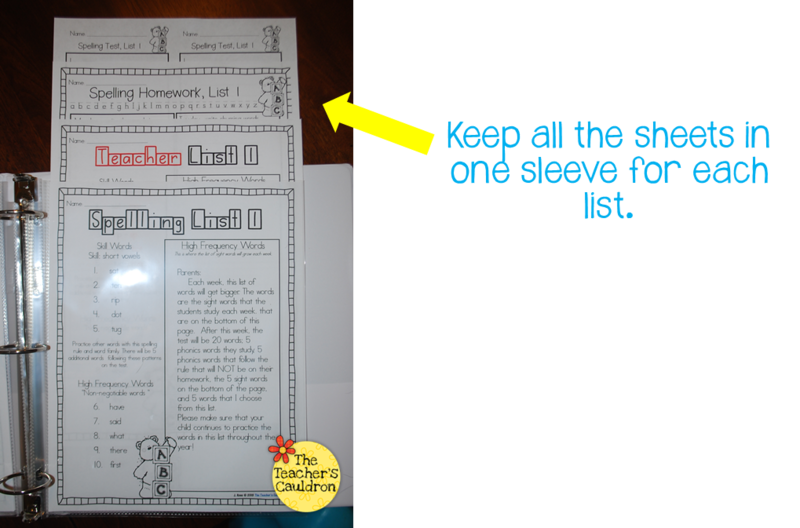 OR, you can do no pocket chart and just tape or magnet them to your chalkboard! If you're interested, I have 3 different grade levels. P.s...make sure you come back tomorrow - I have a special surprise for you!!! 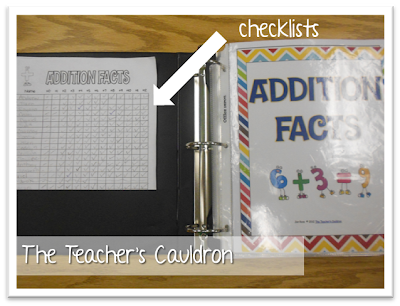 I love how you have it all in one binder. I do this for my Fry sight words but I never thought of doing it with my spelling words. Thanks so much for sharing!! 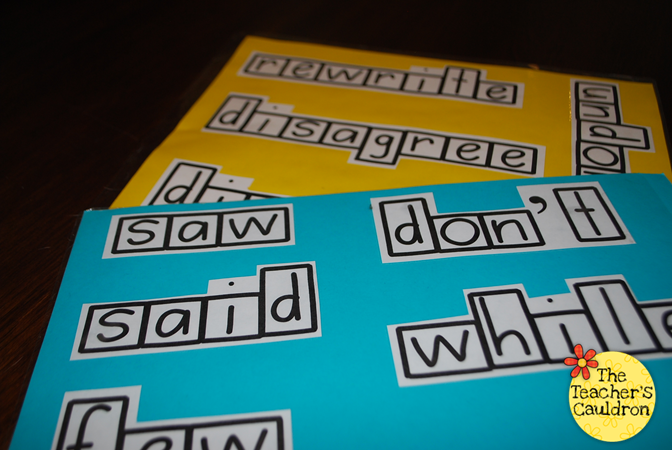 I love the look of your spelling & sight words in the letter boxes. I think this is a great visual, especially for the little guys. 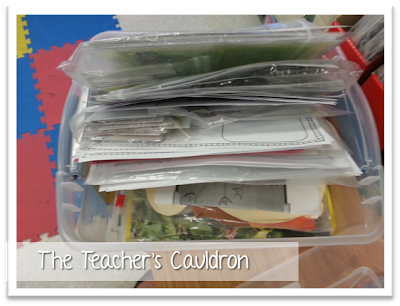 you are so uber organized, I love it! I love how you keep everything together. 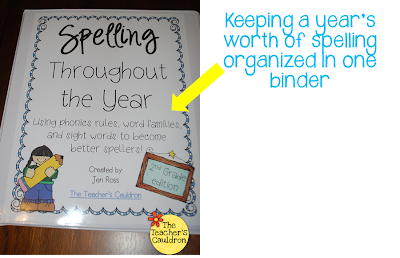 I have your spelling throughout the year for second and third grades, so I think I will be investing in some binders for them! Thanks for sharing your ideas. Super cute! Thanks for your ideas! Do you have a special font you use for the letter boxes, or what's the easiest way to make them? 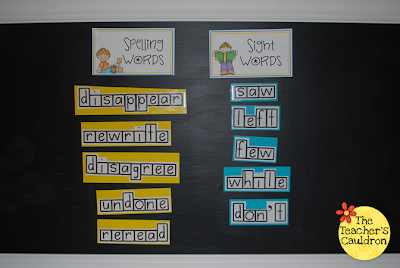 Hey Jen - Is there a specific font or program you use to print/type those spelling/sight words? 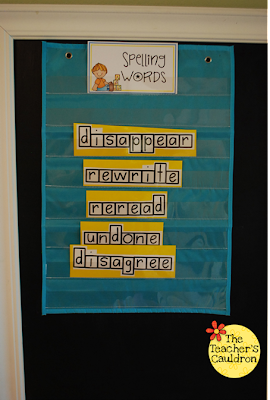 I love it and would love to use it for my word wall words. I'm looking for the font you used for word boxes too! Any way I can purchase editable word cards using the font that creates letter boxes so I can use with my school's spelling and sight word program. Love this, Jen!! I think I'm going to invest in this for next year...I hate my spelling program...lol!! This is great! How do you assess where students are and which list to test them on to make sure it's differentiated? I am wondering the same thing, too. How do you assess, differentiate and test the spelling words? Staples $200 Give Card Giveaway!! 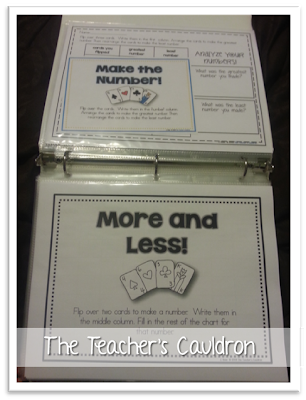 Organize your Common Core Standards! Updated Back to School Packs!